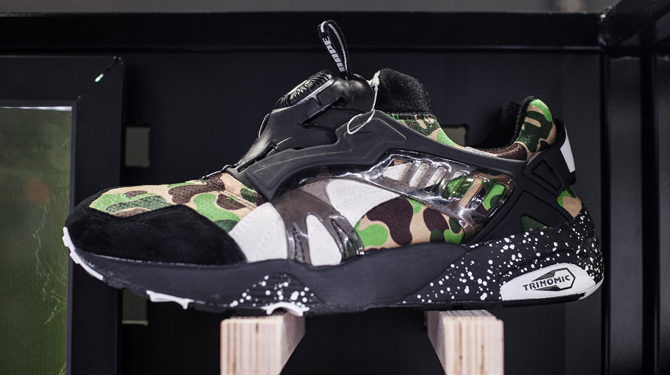 Bape's immediately recognizable camo touch is coming to the Puma silhouettes like the Disc Blaze and Blaze of Glory. BAPE's resurgence in recent years has led the brand to partner up with outside entities on footwear projects. 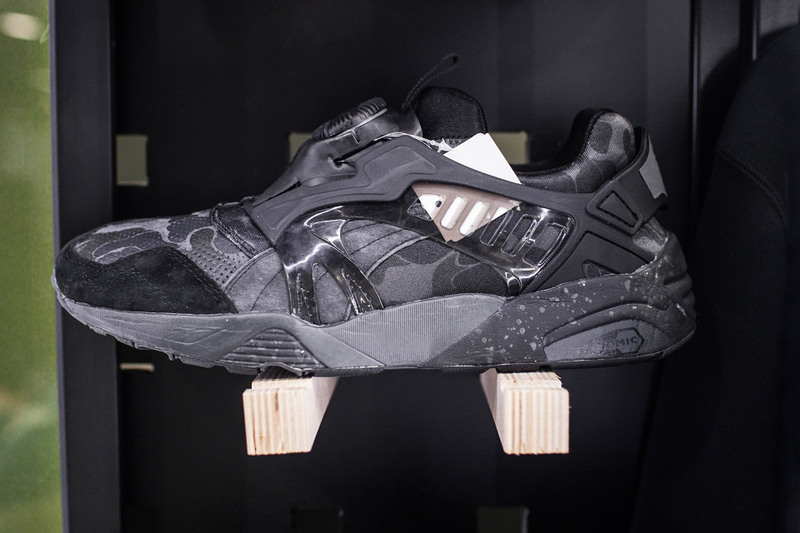 They're adding another notch on their belt in the form of Puma, whose upcoming capsule with the brand that Nigo built was on display at the Agenda tradeshow in Long Beach. 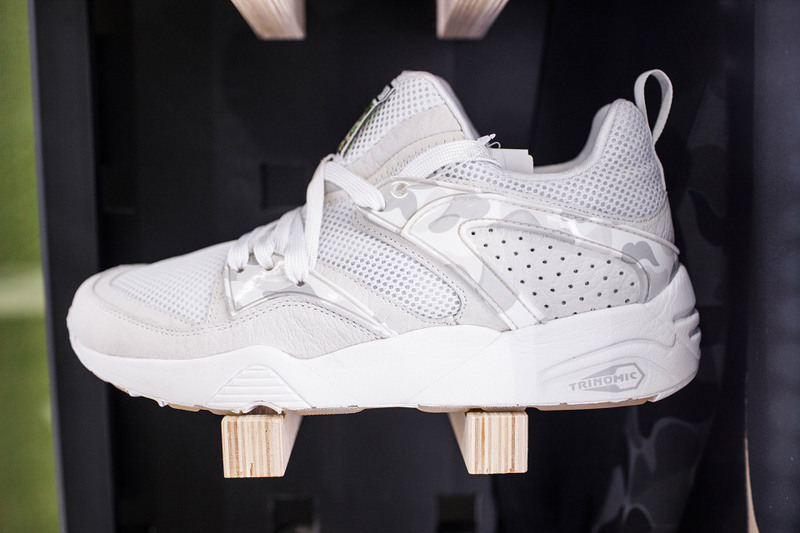 The collection includes two pairs of the Puma Disc Blaze, a Puma R698, and a Puma Blaze of Glory. The group goes the expected Bathing Ape route and utilizes their "first camo" pattern to differing degrees across all four of the pairs, with palettes aside from the standard olive helping to break up the different offerings. 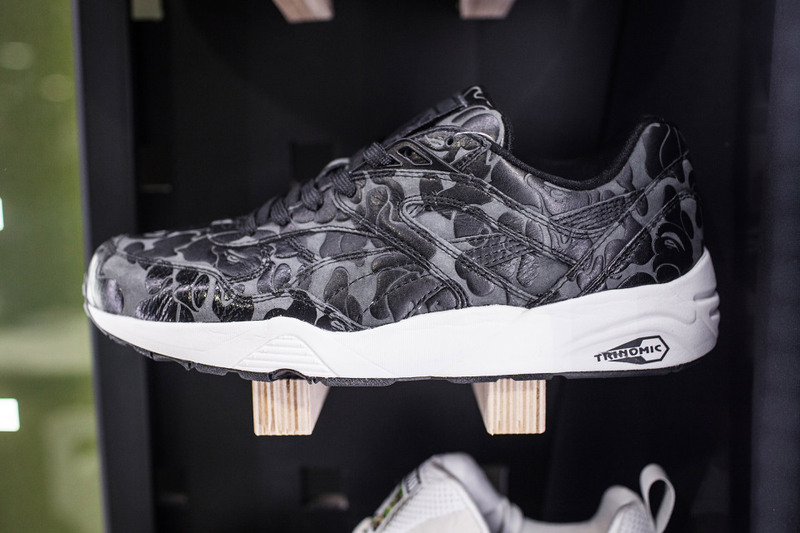 The BAPE x Puma collection should in stores for Fall/Winter 2015.